For quality lawn mowing and lawn maintenance services for residential and commercial properties, call SD Mowing and Maintenance on 0421 37# ### today. Prompt, reliable and on-time service is guaranteed for every job assigned at SD Mowing and Maintenance - there is no job too big or too small! 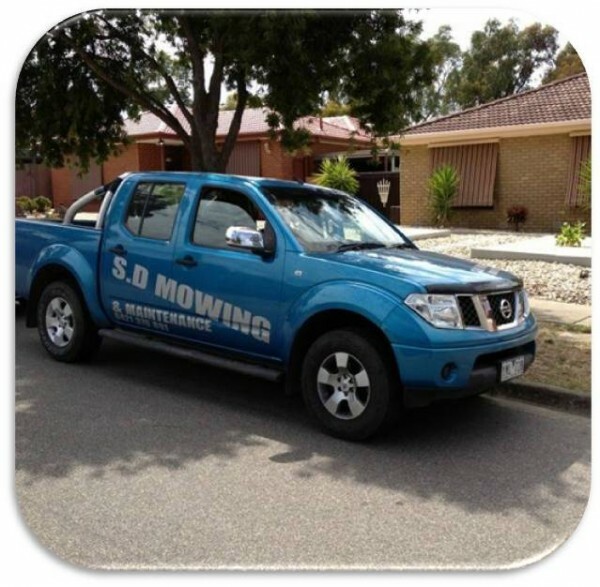 SD Mowing and Maintenance is a lawn mowing contractor based in Epping, Melbourne. The company covers all aspects of gardening and lawn maintenance, guaranteed with a high quality of workmanship. Do you live within Epping or a nearby suburb? Then you can take advantage of SD Mowing and Maintenance’s affordable rates! Schedule a maintenance service for your lawn, and brighten up your garden today. Regular lawn maintenance increases the value of your property; that is why it is important to keep your garden neat and clean at all times. Lawn mowing and other garden tasks need not put a burden on your household chores; just give SD Mowing and Maintenance a ring whenever you need lawn assistance. If you’re leasing a house, an apartment, or if you’re a rental property manager, then it’s time for you to get a reliable property maintenance contractor. SD Mowing and Maintenance offers property maintenance services that can be arranged for regular intervals. Protect your property from damaging rainwater leaks by removing dried leaves and tree branches from your gutters. SD Mowing and Maintenance renders meticulous gutter cleaning, which completely eliminates all the rubbish and blockage from your gutter system. Garden maintenance will no longer be a bore when you have someone to help you do the chore. Have your garden grass mowed and your plants cultivated to achieve the landscape that you’ve always dreamed of. Know the type of greenery that will suit your home and your lifestyle. Heed the advice from SD Mowing and Maintenance, your local garden expert. To request for a free quote, dial 0421 37# ###.